Broad Brush Overview: The ongoing trade wind weather conditions will continue across the island chain this week. 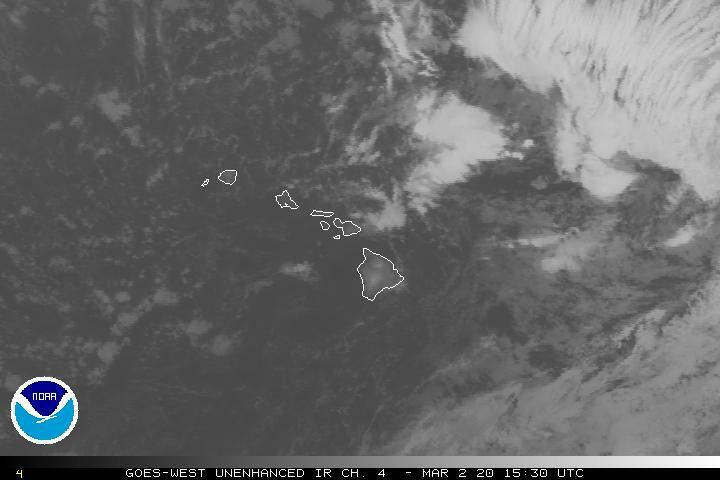 These typical springtime trade winds will become briefly lighter Tuesday-Thursday, as the high pressure area north of the islands…moves steadily east of the state. A return of stronger trades will occur Friday, as a strong surface ridge of high pressure moves into the area north of Hawaii. Details: The expected weakening trend of the trade winds will begin tonight and Tuesday, as a surface high north of the islands, moves off to the east. The trades should be at their lightest Tuesday…at light to moderate levels. This in turn will allow local daytime sea breezes to develop on the smaller islands. The trades start to pick up again, becoming stronger Wednesday evening through Friday. A strengthening inversion is becoming established, as ridging aloft replaces the recent upper trough, which is moving away and weakening. The ridge weakens slightly tonight into Tuesday with the inversion rising. 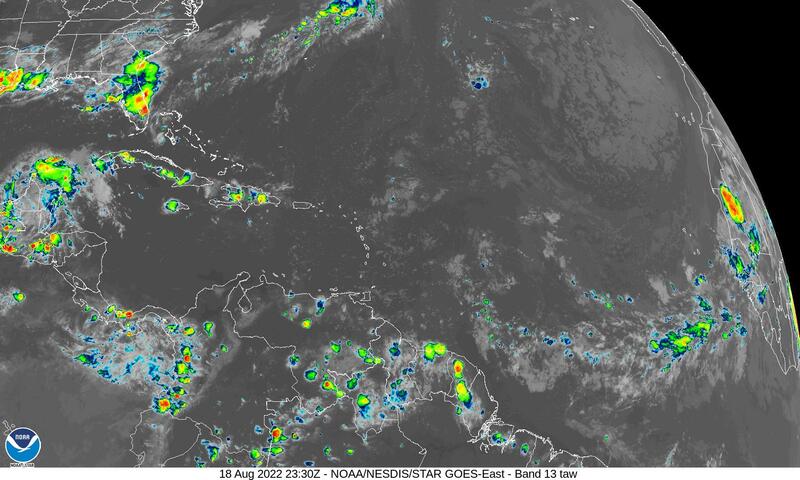 As the trades weaken Tuesday, this stable atmosphere will limit shower activity. There’s always the chance of a few windward showers as usual. Looking Further Ahead: Trades will become stronger as we reach mid-week, as a surface ridge lingers north of the islands into the weekend. This will lead to moderate to strong trades lasting into the weekend. The frequency of showers should increase as we push into Wednesday, as an upper low southeast of the Big Island forms. A weaker ridge over the islands will lead to a higher inversion, which will support more showers into the weekend. 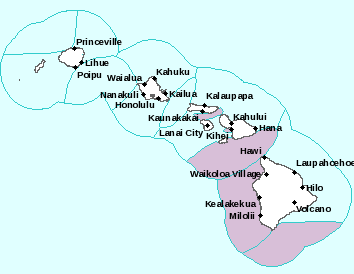 Marine Environmental Conditions: High pressure centered far north of the area has weakened slightly, with moderate to locally strong trade winds decreasing to moderate speeds tonight, as the ridge weakens in response to a front passing north of the state. Winds will continue to decrease Tuesday to light to moderate speeds, although are expected to increase to moderate to locally strong speeds Wednesday night, as a ridge of high pressure rebuilds north of the state. Moderate to strong northeast trades remain active upstream of the state. Due to the decrease in wind speeds locally, surf along east facing shores will continue to gradually decrease through mid-week. Surf is expected to increase again towards the later half of the week as trades strengthen, although will likely stay below advisory thresholds. 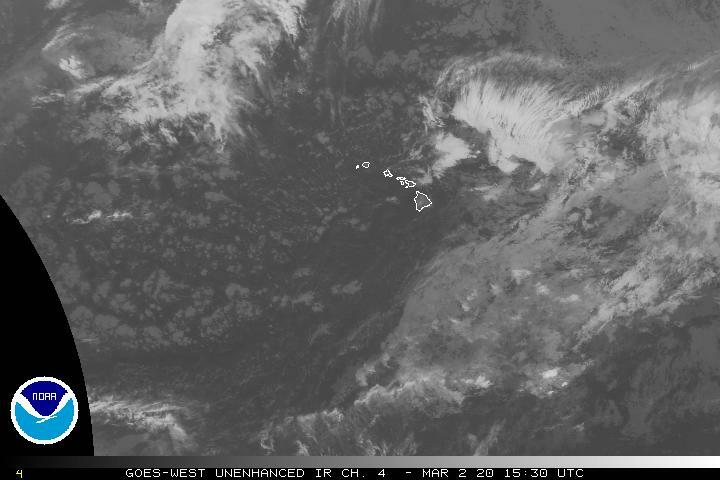 A new small west-northwest swell should continue to fill in, and then peak tonight along north and west facing shores. Small surf will linger into Wednesday, and be reinforced by a new northwest swell Thursday night into Friday. There will also be a series of small south swells through this week. Interesting: How Did Nearsighted People Manage Before Glasses Were Invented? – In 2017, the super-rich shared with The New Yorker their secrets for doomsday prep. Some were building luxury bunkers and stockpiling weapons. Others were buying property in New Zealand. Still others revealed that, in thinking about the possibility of civilization’s collapse, they had been especially concerned with a problem right in front of their faces: Both a current and former CEO of Reddit said they’d had surgery to correct their nearsightedness to ensure their survival in the case they couldn’t get contacts or glasses amid the end-of-the-world chaos. There are 13th-century European examples of handheld convex lenses that were used to treat age-related vision loss known as presbyopia. (We’d call them reading glasses today.) But the technology wasn’t applied to treat nearsightedness for another 200 years. One of the first known examples of a handheld, concave lens appears in an early 16th-century portrait of Pope Leo X — who was part of the politically influential and famously myopic Medici family — that was painted by the Italian master Raphael. “Because of the way that lens is held, you can see through it, and the artist has captured the effect that the glass has,” Handley said. “So, it is possible to say that it is a negative lens for the use of a” person with myopia. Doctors are still trying to figure out the cause behind this trend, which some doctors(CK) have called an epidemic. While some have blamed genetic causes or an increase in studying and screen time, other researchers have found that children who spent less time outside were more likely to develop myopia. Regardless of what’s driving the trend, it’s likely that myopia didn’t affect as many people in the past as it does now. Handley said the late creation of nearsighted glasses suggests that treating the small number of people with myopia wasn’t regarded as a priority and that people could have gotten by with this condition by making some adaptations in their lifestyle, such as TK or TK. Or, maybe there was more of an emphasis on putting people in jobs that were suited to their ability to see rather than on finding technological interventions that made everybody equal, he said. Unfortunately, you don’t have to look into the past to find nearsighted people without access to glasses. The glasses-less future that tech millionaires fear is already a reality for a lot of people alive today. More than a billion, and maybe as many as 2.5 billion, people in the world need but don’t have glasses to correct for various vision impairments, according to The New York Times. This is an especially critical public health issue in the developing world, where uncorrected vision problems can hinder kids’ education, cause road accidents and prevent people from working. Just wanted to comment on that nasty looking brown water in your surf picture. Don’t know if I’d be in it! Still enjoy your site everyday. Hope you and mom are well. ~~~ Hi Glenn, there in South Jersey, good to hear from you again. Yeah, that brown water caught my eye too. I assume it’s either runoff from rains inland, or a break at a river mouth, either way, it’s some of the brownest water I’ve ever seen…and a very nice looking wave shape too! Looking at USGS data, a number of upcountry Maui residents reported feeling the big island earthquake this evening. It was a long-lasting, mild rolling motion here in Haiku. 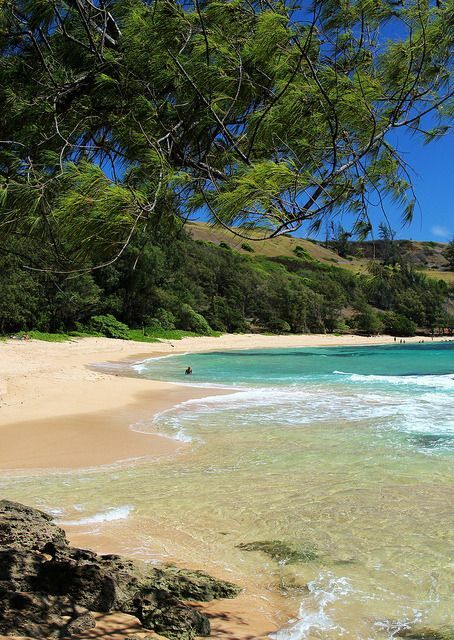 ~~~ Hi Maggie, 5.5 magnitude in the Hualalai region on the Big Island…and it was felt in Kula, Maui as well. Your weather reporting gets more sophisticated by the day. On the subject of supplements, the single study you currently mention had its basis in nine year-old data, self reported by folks. The limited focus of the study, seemingly, was a few supplements. The generalizations, however, are sweeping. They may or may not still be relevant to much of anything. Are the data still valid? What says so, or not? For a wider overview, timely citations on multiple studies on supplements appear in articles which a monthly magazine, Life Extension describes. While a myriad of supplements exist, such a monthly magazine or peer-reviewed literature is often way better than one study with data nearly a decade old, you may agree. With appreciation for your ongoing comments. Your words such as “…that sure looks like snow to me” are often way more funner than citations. 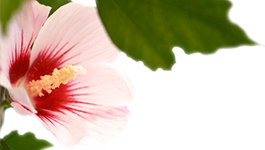 ~~~ Hi J. I can appreciate your feedback on the interesting article on supplements. I am no great expert on this subject, and I knew that many folks who read this article would very likely be using vitamins. I figured that there would be some definite counterpoints, and thanks for yours. I’m currently not taking supplements, although used to take turmeric for several recent years. I eat a very healthy diet, and figure that I’m getting the things I need, and use my personal health as a gauge. I like the word “sophisticated”…thanks! Hi Glenn! Hope you are doing well. Thanks for all you do. 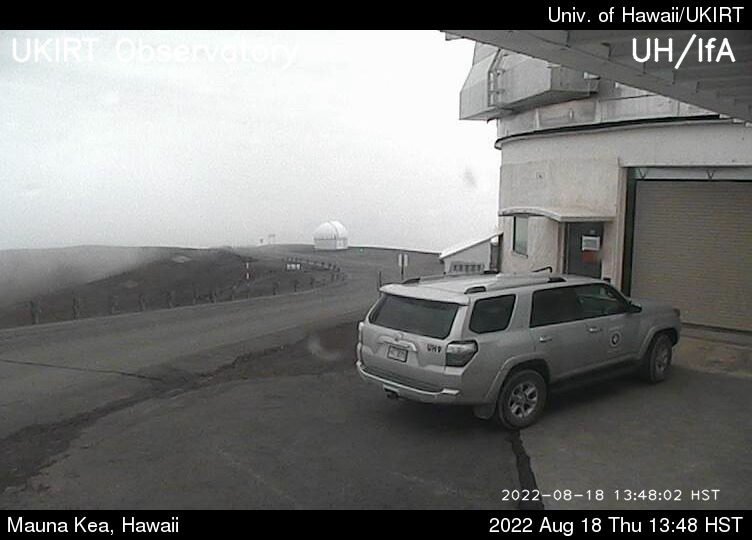 I am wondering about the webcam please @ Mauna Kea? Is that what I think it is up there? ~~~ Hi Helen, yes ma’am, that sure looks like snow to me! It’s pretty late in the season for snow, although there it is nonetheless!